Right from the enslavement era through to the colonial and contemporary eras, Africans have been denied their human essence – portrayed as indistinct from animals or beasts for imperial burdens, Africans have been historically dispossessed and exploited. Postulating the theory of global jurisprudential apartheid, the book accounts for biases in various legal systems, norms, values and conventions that bind Africans while affording impunity to Western states. Drawing on contemporary notions of animism, transhumanism, posthumanism and science and technology studies, the book critically interrogates the possibility of a jurisprudence of anticipation which is attentive to the emergent New World Order that engineers ‘human beings to become nonhumans’ while ‘nonhumans become humans’. Connecting discourses on decoloniality with jurisprudence in the areas of family law, environment, indigenisation, property, migration, constitutionalism, employment and labour law, commercial law and Ubuntu, the book also juggles with emergent issues around Earth Jurisprudence, ecocentrism, wild law, rights of nature, Earth Court and Earth Tribunal. 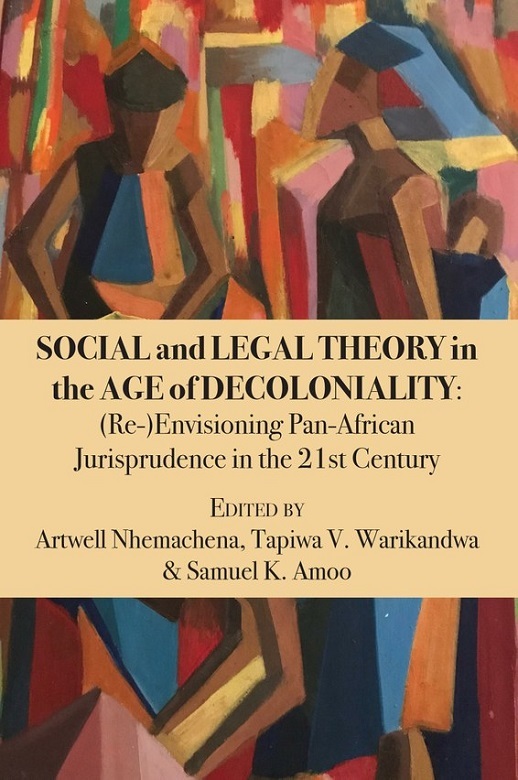 Arguing for decoloniality that attends to global jurisprudential apartheid., this tome is handy for legal scholars and practitioners, social scientists, civil society organisations, policy makers and researchers interested in transformation, decoloniality and Pan-Africanism.